Facebook has a huge amount of influence on how people perceive your business, and using the site is an extremely easy and free way to advertise what you do. The social media site has given a whole new meaning to the phrase ‘word of mouth’, allowing us to share our positive or negative experiences of a specific company with the public effortlessly. People are not afraid to name and shame companies on social media if they have had a bad experience with them, so it is extremely important to address any kind of negative experience a user feels they have had. If you don’t have a Facebook page for your business already, you are seriously behind the times. It’s an opportunity to market your business for FREE, so what are you hanging around for? Get into gear and create that page for your business – then follow this guide to gain those lovely little ‘Likes’ that we all strive for. When it comes to Facebook users visiting your page, people need to be drawn in almost instantly. Do not underestimate how fickle users can be; if your page doesn’t pull them in quick enough then they will click off your page quicker than you can say ‘Like’ – we are all guilty of that. Make sure your page contains all the important information about your business but also be sure to keep your summary short and sweet. If the visitors to your page are confronted with mounds of information, the chance of them being bothered to read it is slim to say the least. Related: Is It Possible For My Website To Rank? Ask your friends and family to like your page, and get them to ask their friends and family to like it too. Once you have a bank of ‘Likes’ from your supportive contacts, your credibility goes up enormously. Let’s face it, who would be interested in a business page that has no ‘Likes’ whatsoever? They ask themselves why no one else is engaging with it, and will be put off. So now you have your first lot of ‘Likes’, start posting on your page and get those good old supportive friends and family to share your incredibly engaging posts. Get them to share until they are blue in the face, because the more people that share posts from your page, the more people will be exposed to your business, therefore they are inclined to visit your page and potentially ‘Like’ it. Who can resist a freebie? Many companies have had a lot of success by hosting a competition where they have prize giveaways and it is these competitions that result in huge gains in terms of ‘Likes’. Make your competition interesting and mobile-user-friendly to ensure users find it easy to enter, and most of all, easy to ‘share’. However, it isn’t as simple as just typing up a post. There are promotional guidelines that you have to stick to. You must use a Facebook app for your competition, which creates a fan-gate. This fan-gate only allows people that have ‘Liked’ your page to participate in the competition. You can then use the unique URL that the app has to promote your competition with a Facebook ad, which results in more ‘Likes’. Be sure to be active on your page, post engaging and interesting content and update your status at least once a day. Ensure your posts are relevant to your followers and the sorts of things that will be of interest to them and their network of friends. This will result in your content being ‘shared’, creating more and more of those lovely ‘Likes’. By ‘Liking’ and interacting with other companies, the likelihood of them ‘Liking’ you back is very high. You are also making your business known to others who may share your posts, again creating awareness of your company. It does work both ways though, so the more you interact with other businesses the more they will interact with yours. Their bank of loyal ‘Likers’ will see they are sharing your company’s posts that will be relevant to their Likers, therefore creating an opportunity for them to Like your page as well. Don’t be fooled, these 5 easy steps are just the tip of the ice-burg when it comes to advertising effectively through Facebook. There are so many ways in which you can promote your business page on Facebook. Some you pay for and some you don’t, but you need to try them all to find out what really works for your business! 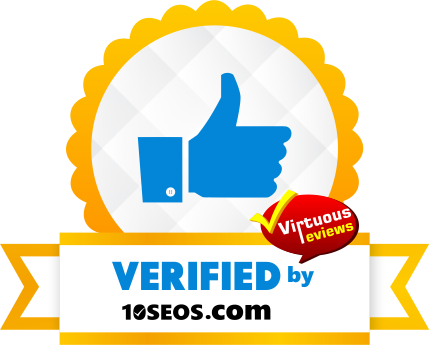 Check your website’s rankings in the major search engines for free today. Please complete the short form below so one of our consultants can call you back to discuss your needs. Alternatively, if you would rather speak to us straight away, you can call us on 01245 477449.